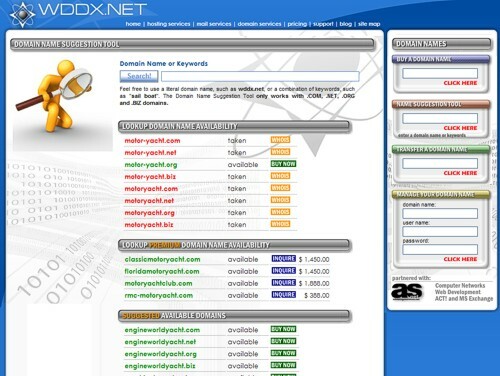 We unveiled our version of the Domain Name Suggestion Tool today on the WDDX.NET website. You can search for specific domain names or use keywords to "cast a wider net". The tool will look for the .COM, .NET, .ORG and .BIZ TLDs, domains that are up for auction and also make use of a thesaurus/related word index to help you find what you're looking for. Just look for the convenient orange box on the right hand side of any page.